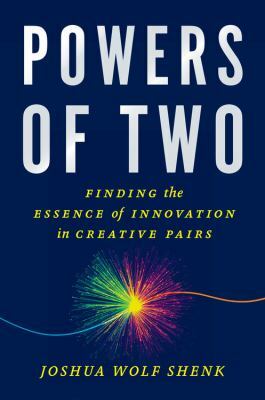 The Powers of Two insists that the most creative grouping is pairs. Author Joshua Wolf Shenk uses lots of famous folks to make the point. There’s Paul McCarthy and John Lennon, of course. They appear throughout the book as examples. There are also Marie and Paul Curie, and Steve Jobs and Steve Wozniak. Less famously ‘known-as-pairs’ pairs appear as well–business partners Warren Buffett and Charlie Munger are one intriguing pair. We know Buffet, but learn how Munger works in his creative and moneymaking process. We know, too, that Theo Van Gogh’s support of his famous artist brother Vincent was critical. But Theo as a creative partner may be a new idea to us, and Shenk makes his case for this partnership. Sometimes he focuses on rivalries. Particularly nasty comments about one another dot the discussion of twin sisters Ann Landers and Abigail Van Buren, who both wrote popular syndicated advice columns. According to Shenk, their life-long sibling rivalry is what made them so good at their jobs. The discussion of pairs (and rivalries) that is the most fun to read is the one about Magic Johnson and Larry Bird. This is true because they are often quoted discussing how their rivalry pushed them to greatness and includes a lot of important basketball milestones. Some of the pairings that Shenk makes are a bit of a stretch. When there is a third person who appears to be integral to the creative pair, Shenk makes them into a sort of Venn Diagram—two pairs, with one of the people crossing over into each pair. Like me, you may find this a pairing too far. Sometimes three creative people working together are just a trio. And four are just a quartet. High school housekeeping: Despite the fact that Shenk tries too hard to turn every creative group into pairs, there is a lot to like about this book. There’s much to think about in terms of how having someone to bounce ideas off of can increase the creative output of everyone in the group. Or that rivalries, nasty as they can be, are opportunities for greatness. This is a good choice for Common Core ‘outside reading’ of ‘informational text’ (newspeak for nonfiction—fiction has plenty of information in it, too, no matter what the new-standards bearers are selling you). This entry was posted in Non-fiction, Uncategorized and tagged Abigail Van Buren, Adult books for teens, book reviews, Charlie Munger, Common Core, creativity, Joshua Wolf Shenk, nonfiction, pairs, Paul McCarthy, rivalries, sibling rivalries, Steve Jobs and Steve Wozniak, The Powers of Two, Warren Buffett. Bookmark the permalink.